On January 6, 1908, the Supreme Court ruled that when land is set aside for the use of Indian tribes, that reservation of land includes reserved water rights. 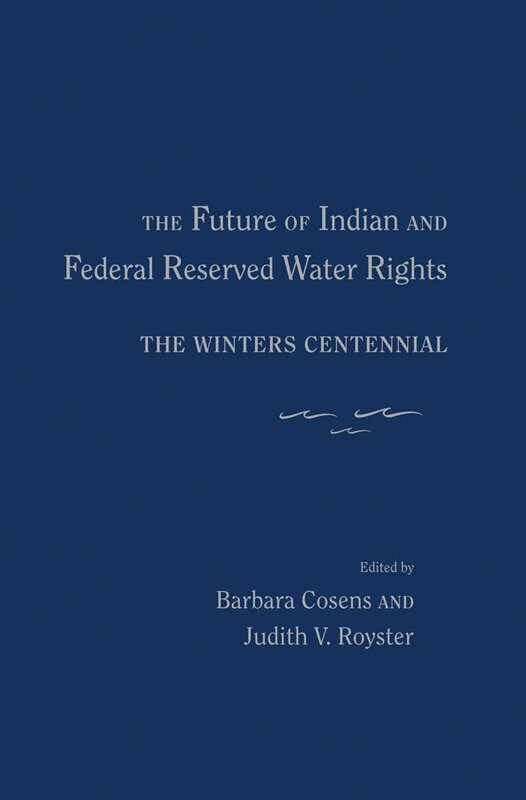 The Winters Doctrine, as it has come to be known, is now a fundamental principle of both federal Indian law and water law and has expanded beyond Indian reservations to include all federal reservations of land. Ordinarily, there would not be much to say about a one hundred-year-old Supreme Court case. But while its central conclusion that a claim to water was reserved when the land was reserved for Indians represents a commitment to justice, the exact nature of that commitment-its legal basis, scope, implications for non-Indian water rights holders, the purposes for and quantities of water reserved, the geographic nexus between the land and the water reserved, and many other details of practical consequence-has been, and continues to be, litigated and negotiated. In this detailed collection of essays, lawyers, historians, and tribal leaders explore the nuances of these issues and legacies. Barbara Cosens is professor of law at the University of Idaho. Judith V. Royster is professor of law at the University of Tulsa.